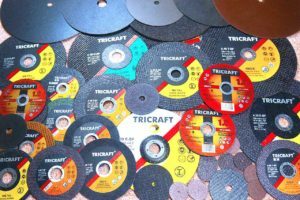 With the development of the machinery industry, the mechanical products which need to be processed are increasing day by day, more and more cutting wheels are used , In order to help you have a certain understanding of the knowledge of the different cutting wheels, we write this article of the classification and applications of cutting wheels and discs . It is made of glass fiber and resin reinforced binding materials, has high tensile, impact and bending strength, is widely used in the production of general steel, stainless steel and nonmetal material, it can give high cutting efficiency and the best economic effect. Is made of metallic matrix and diamond grits ,It is widely used in stone, concrete, precast slab, new and old road, ceramics and other hard and brittle materials. The matrix is the main supporting part of the binding cutter head, The cutter head can play the role of cutting, because it contains the diamond, diamond as the hardest material, it is warped in the cutter head . 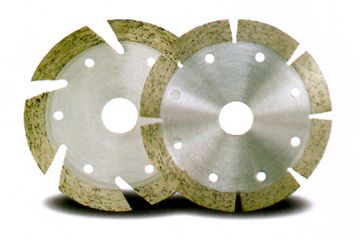 You should choose the different cutting wheels and blades for different applications , you can check our products to choose the right resin bonded cutting wheels and discs for your works .